This web site was originally designed in 2001 to support the Joe Morley Memorial Fund. At that time there was no permanent marker or headstone on his grave in Streatham. Through hard work and public subscription this was rectified on 15th September 2001. 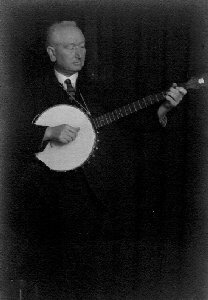 This site hopes to give wider publicity to Joe's life and work and to provide an online resource about one of the finest banjoists and composers who ever lived.